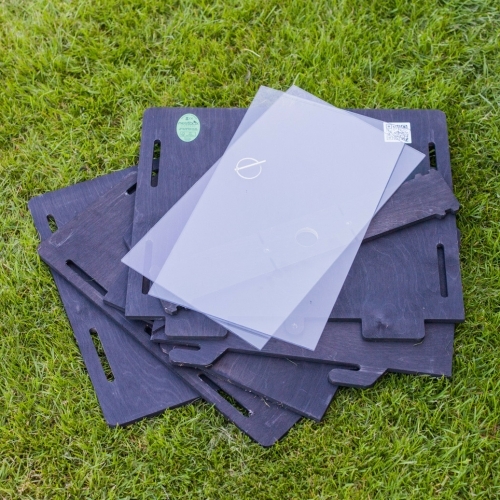 This moth trap is easy to assemble and disassemble and packs flat for transport. It's very quick and easy to set up and ticks all the boxes. 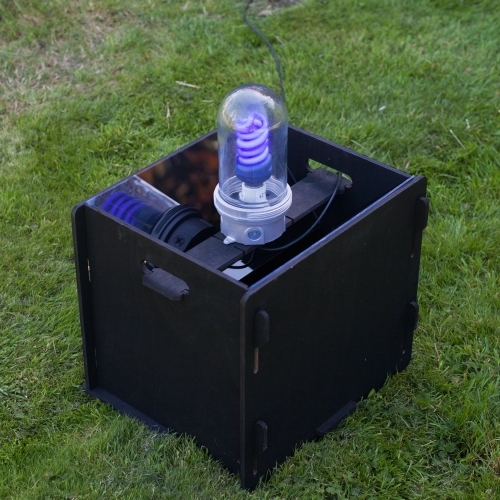 This is very nicely put together and is ideal for those who need to transport their moth trap regularly. 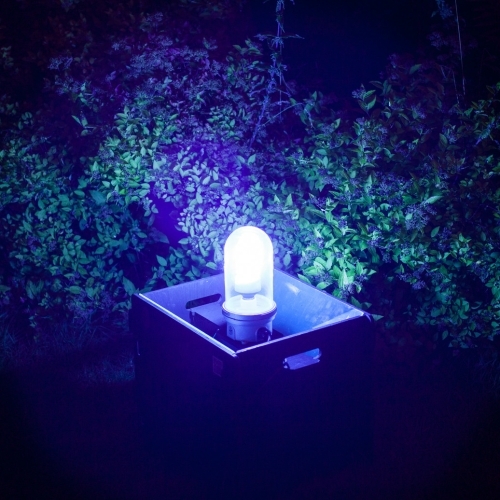 This new moth trap provides you with everything you need to start moth trapping in your garden. Using an innovative approach to the tried and tested skinner trap design, the panels which make up the box simply slot together without tools, utilising a unique tab and slot design. The panels are precision cut from 9mm FSC plywood and when put together create a robust and rigid box with a satisfyingly solid feel to it. The flat-pack box can be quickly assembled and disassembled, making it easy to transport and store. The two clear plastic panels slide into slots in the side panels to form a moth "funnel" once the box is assembled, and can be removed while the trap is operating if you want to check your catch. The trap has a mains operated light fitting with a 10m cable and an RCD plug for safety. The aluminium and glass light fitting is fully enclosed with rubber seals to stop water getting into the electrics and is supplied with a 25W Black Light Blue Actinic Bulb. The Actinic bulb and light fitting make this safe in use, even with people around the trap. The light fitting is attached to the light board with two bolts and wing nuts so can easily be removed for transporting separately.